King Islam Aur Pakistan is a nation led by Badshah Hanzala on the continent of Asia. King Islam Aur Pakistan's government is a Absolute Monarchy with very moderate social policies. Economically, King Islam Aur Pakistan favors moderate policies. The official currency of King Islam Aur Pakistan is the Dollar. At 212 days old, King Islam Aur Pakistan is an old nation. King Islam Aur Pakistan has a population of 244,642 and a land area of 3,540.00 sq. miles. This gives it a national average population density of 69.11. Pollution in the nation is almost non-existent. The citizens' faith in the government is at an all-time high with an approval rating of 100%. 04/17 07:17 pm - Islam Aur Pakistan declared war on Starving for the reason of "Dead men taste like chicken.". 04/17 07:15 pm - Islam Aur Pakistan declared war on Central Zimsland Guanua for the reason of "Gib me all ur moneyz". 04/17 07:13 pm - Islam Aur Pakistan declared war on The New German Riech for the reason of "Do you feel lucky, punk?". 04/17 07:14 am - Islam Aur Pakistan was embargoed by Kingdom of Narva. 04/15 05:29 pm - Islam Aur Pakistan had war declared by French Mali for the reason of "All your base are belong to us". 04/15 05:13 pm - Islam Aur Pakistan declared war on United Network for the reason of "Gib me all ur moneyz". 04/15 01:52 pm - Islam Aur Pakistan was embargoed by Tejomaya. 04/15 05:19 am - Islam Aur Pakistan declared war on Bosnia for the reason of "All your base are belong to us". 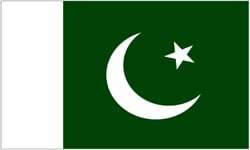 04/15 05:17 am - Islam Aur Pakistan declared war on Confederacy of Independence for the reason of "Welcome to Orbis.". 04/14 06:34 pm - Islam Aur Pakistan declared war on United State of Carolina for the reason of "Stasu Khor Ughem". 04/13 09:09 am - Islam Aur Pakistan declared war on The Republic of Zimbabwe for the reason of "Hasta la vista, baby!". 04/13 04:58 am - Islam Aur Pakistan declared war on Insane Asylum for the reason of "Dead men taste like chicken.". 04/13 01:39 am - Islam Aur Pakistan was embargoed by Ouzeki. 04/12 05:45 pm - Islam Aur Pakistan declared war on Ouzeki for the reason of "Get off my plane.". 04/12 05:43 pm - Islam Aur Pakistan declared war on Tejomaya for the reason of "You brought this on yourself". 04/11 03:18 am - Islam Aur Pakistan declared war on BrightBlue for the reason of "We have come to liberate you". 04/11 03:16 am - Islam Aur Pakistan declared war on ReachOfTheShadows for the reason of "A not-so-general dispute". 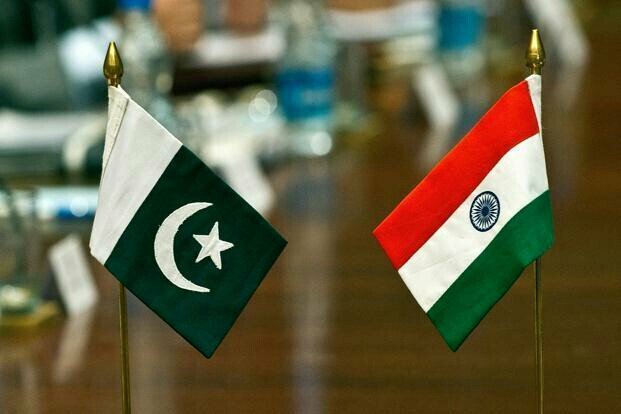 04/10 05:56 am - Islam Aur Pakistan declared war on Revanite Empire for the reason of "2m for peace". 04/09 03:20 pm - Islam Aur Pakistan declared war on Underthesea for the reason of "I am the LAW!". 04/08 05:41 pm - Islam Aur Pakistan declared war on Sorensonland for the reason of "You brought this on yourself". 04/08 05:40 pm - Islam Aur Pakistan declared war on Mirama for the reason of "You're a disease, and I'm the cure.". 04/08 07:55 am - Islam Aur Pakistan declared war on Ausseber for the reason of "I will have vengeance.". 04/08 07:54 am - Islam Aur Pakistan declared war on New Vahalla for the reason of "You Should Have Waited". 04/06 08:07 am - Islam Aur Pakistan declared war on French Mali for the reason of "2m for peace". 04/05 06:28 am - Islam Aur Pakistan declared war on YoshiEmpire for the reason of "2m for peace". 04/05 06:26 am - Islam Aur Pakistan declared war on South Wakanda for the reason of "2m for peace". 04/04 04:13 am - Islam Aur Pakistan declared war on Odrain for the reason of "2m for peace". 04/03 05:11 am - Islam Aur Pakistan changed their Color Trade Bloc from Gray to Lime. 04/03 05:10 am - Islam Aur Pakistan declared war on Chapoland for the reason of "We don't like you". 04/03 03:56 am - Islam Aur Pakistan declared war on Calladan for the reason of "2m for Peace".